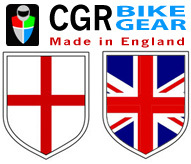 Purchase today from our selection of high quality, British made products. Made to measure items can also be purchased on a next day basis. PACK OF TWO General purpose clips see description for details. Genesis universal stroller holdalls for flights or storage. Luxury Blankets suitable for cots,carrycots,strollers or car seats etc. Universal Car Seat travel bags for air flights. Every make and model, made in England. Genesis carrycot travel bags for airport travel. Made to measure.See description for details. Genesis Pram Travel Bag for Armadillo type pushchair. Genesis made to measure car seat travel bag for airport travel or storeage. See description for details. Genesis Pram travel bag suitable for the Quinny Buzz 3 pram or similar dimension pushchairs. See description for details. Pram Travel bag for M&P Urbo or similar sized pushchairs. See description for details. Pram travel bag suitable for M&P Sola or Zoom pushchairs. See description for details. Pram Travel bag for Mamas and Papas Sync or similar sized prams. Pram bag for Quinny Zapp Xtra or similar. Please see product description. Genesis Pram Travel Bags suitable for the Micralite Strollers or similar sized strollers. See description for details. URBAN Camouflage Footmuff. Please read description for more details. Genesis pram travel bag for Stokke Scoot V2 sized pushchairs. Genesis Pram Travel Bag suitable for model suggested in description. Pram travel bag suitable for the Pioneer sized pushchair or similar. See description for details. Travel bags for air flights. Every make or model. Made to measure.